Now that I've been so busy with work and that the chilly fall weather sets in, I'm longing for the warmth of home even more. Even though it's great to spend time with family when I'm home it was fun to have a night on the town with my guy. I decided to try out a restaurant that has been around pretty much forever but that I had never tried. The Top of Waikiki is a revolving restaurant that was built sometime in the 1960s, I believe. Grandma used to go there back in the day and it's still spinning. 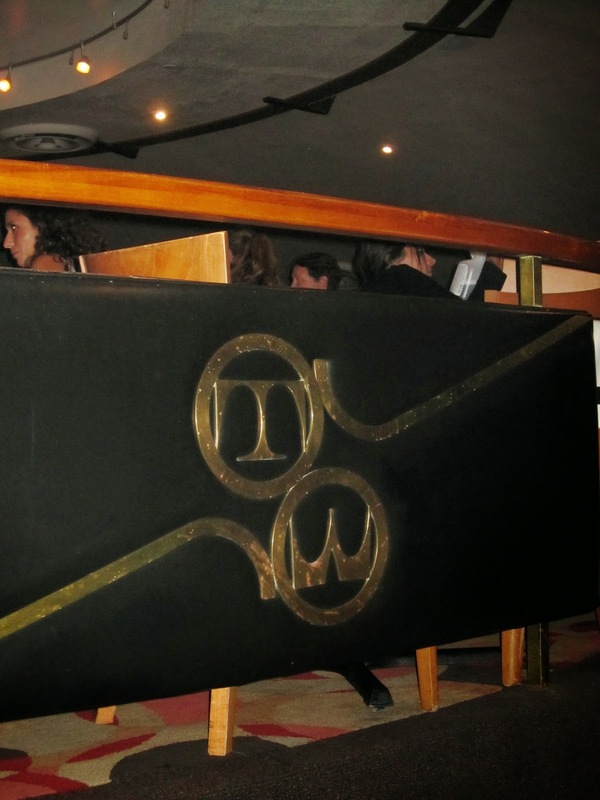 It's a great place for a date or some drinks! 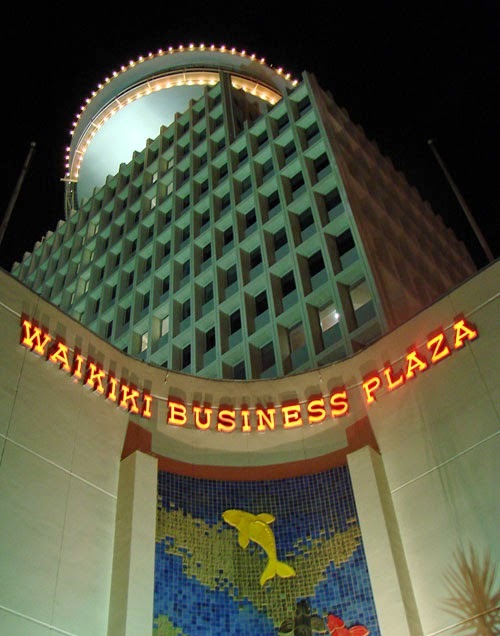 Although it no longer sites atop the tallest building in Waikiki and is today dwarfed by the city's high rises, it doesn't seems like much has changed inside. 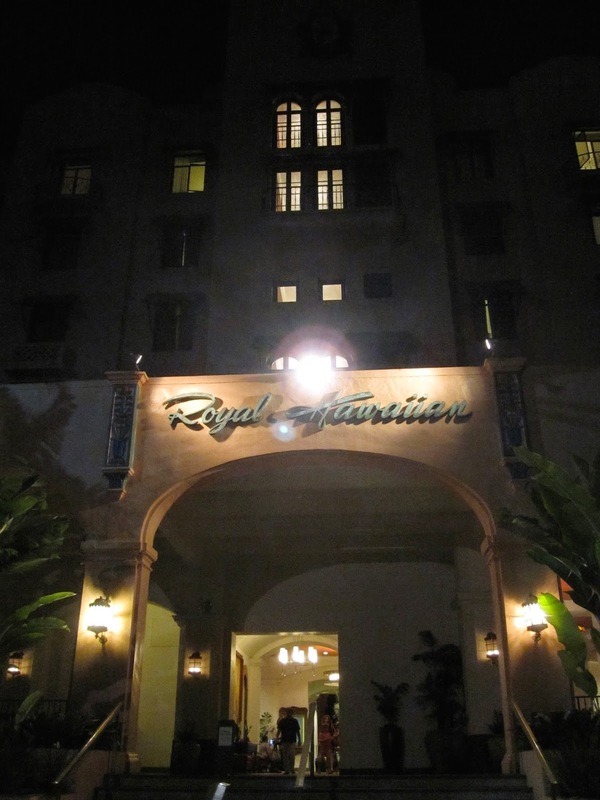 After a delicious surf 'n turf dinner, we strolled over to another Waikiki institution - the Royal Hawaiian Hotel. 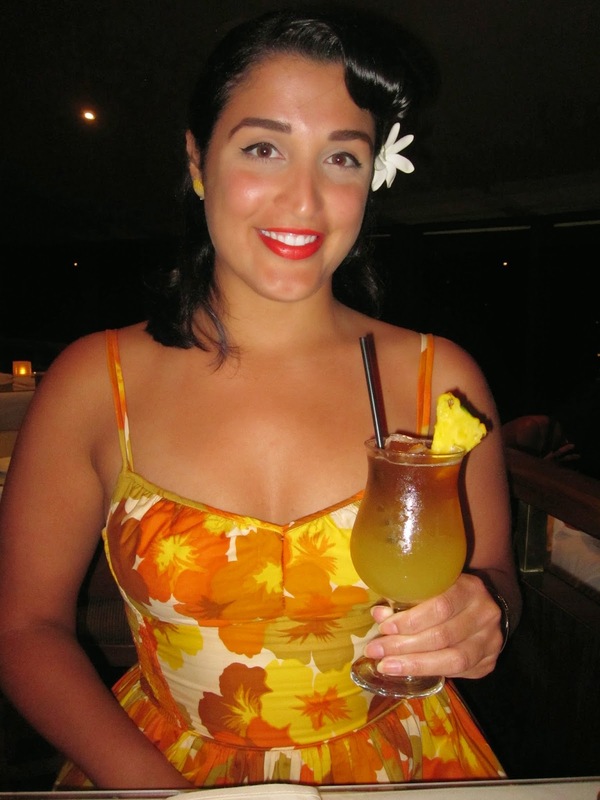 It is one of the oldest hotels in Waikiki and is absolutely gorgeous! Had we been there in the daytime it would have been much easier to take a ton of photos of this beautiful hotel. Then we cruised down Kalakaua Avenue, the main street of Waikiki. 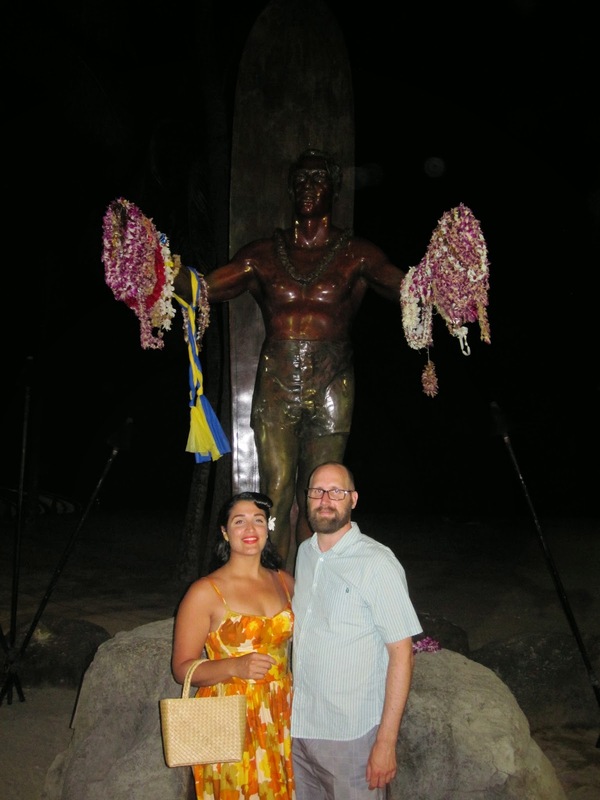 We stopped to take photos with the Duke Kahanamoku statue. He is considered the father of modern surfing and was the first Native Hawaiian olympian and medalist. 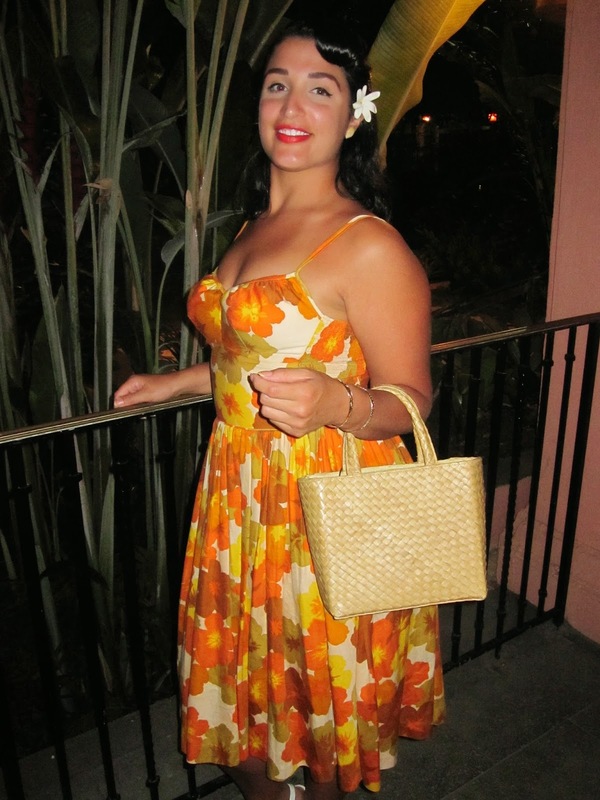 And of course I had the perfect dress for the occasion. 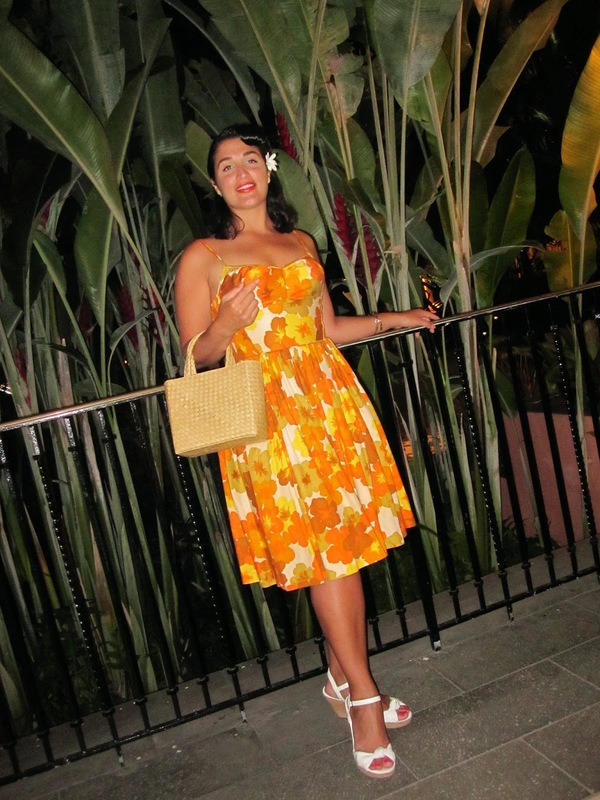 Right before I arrived I bought a new-to-me vintage aloha dress made by Andrade sportswear. 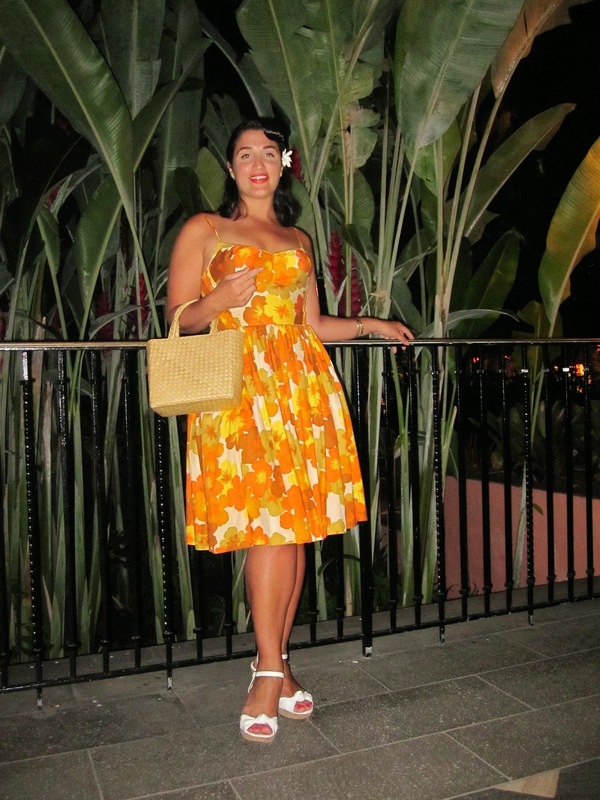 I bought it on Etsy from the amazing seller Traven7 who has some pretty unreal dresses. 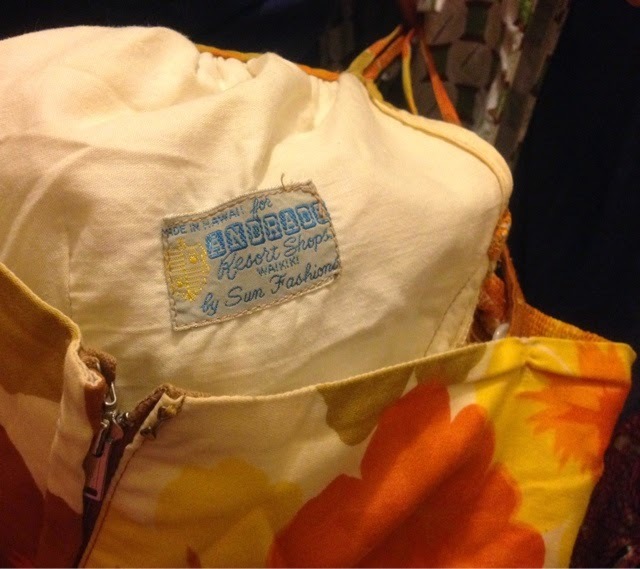 Andrade used to sell aloha wear in its Waikiki shops from the 1950's to 1970's. The colors are so warm and happy. And my photographer tried out some crazy angles. And I was pretty warm and happy myself...it was a lovely night in the city by the sea!